This is a die-cut Sierra Beer porcelain sign. This particular Sierra Beer sign is predominantly light blue and dark blue. 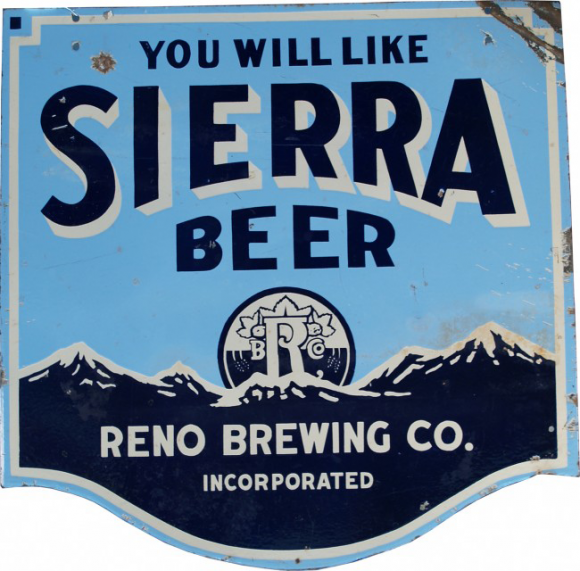 It reads, “You Will Like Sierra Beer, Reno Brewing Co. Incorporated” and features a blue range of mountains along the bottom of the sign.